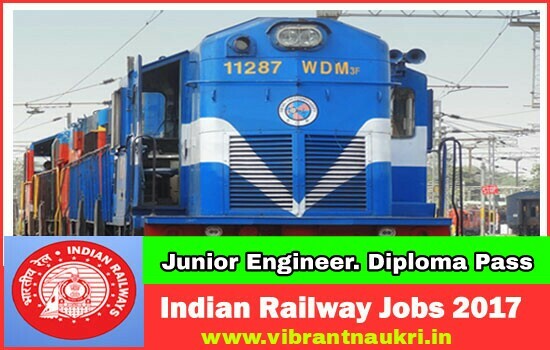 Indian Railway Recruitment 2017 | Junior Engineer, Diploma Pass | Salary 34800/-: Indian Railway (ER) has published recruitment notification for the post of Junior Engineer. More information please read below mention details carefully. No of Vacancies : 22 Vacancies. 3. Junior Engineer (TMO) – 06 posts. Pay Scale :- Applicants will get Salary Rs. 9300 – 34800/- (Per Month). Grade Pay :- Rs. 4200/-. How To Apply :- Apply online application through official website http://www.rrcer.com. before or on 16-08-2017.